Combining the beauty of high-end floors with the practical protection you need, our pet-friendly flooring is perfect for any home with active and messy pets. From puppies in need of housebreaking to cats that sometimes miss the box, we have options for flooring that can handle the worst messes! Choose our carpet superstore when you need sealed flooring or stain-resistant carpet. Improve the appearance of your home while adding the extra protective layer you need. Make cleaning up after your dogs and cats an easy undertaking! Hardwood floors and laminate floors look amazing, but can be poor choices for homes that contain active and messy dogs and cats. The last thing you want is to install some untreated and unsealed wood flooring, only to watch it become dented, warped or scratched. Thanks to the attractive choices of sealed flooring at our store, those worries are a thing of the past! Add beauty and practical protection to your home with our floors! 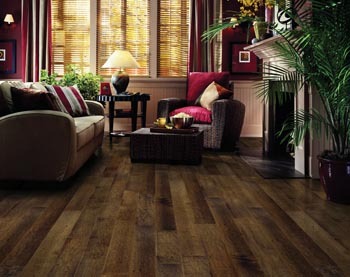 We offer the timeless look of hardwood without sacrificing the protection you need in your home. When you need assistance in choosing the right flooring, let our flooring experts help you. At our carpet studio, we have the right type of carpet to handle any mess that your animal companions can dish out! Choose from different options from your favorite manufacturer, and let us help you install the stain-resistant carpet in no time. We want you to share your home equally with your dogs and cats, so we want to help you discover the best carpet possible. Most manufacturers and carpet companies make their stain-resistant carpet from nylon, which makes the carpet tough, durable, and long lasting. They also treat the carpet with specially formulated chemicals that repel both liquid and dirt. This means that you have a much easier time removing the toughest stains. Stop hiding the stains on your carpet with furniture thanks to our flooring solutions! Don't become overwhelmed when trying to choose the best flooring for your home. At our carpet studio and flooring store, we work with you to determine the kind of flooring that works best for your lifestyle, budget, pets, and flooring needs! Contact us for more information about pet-friendly floors in Lansing. We proudly serve the nearby cities of Haslett, Mason, Okemos, Holt, East Lansing, Williamson and Haslett, Michigan.